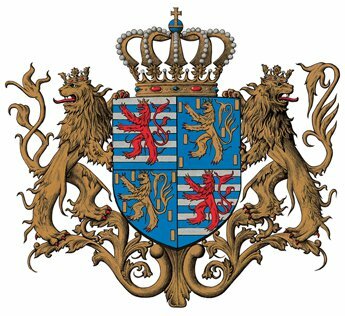 Random Royal News Regarding Their Royal Highnesses Grand Duke Henri and Hereditary Grand Duke Guillaume of Luxembourg. Plus, Sad News Regarding Carl Alexander Prinz von Hohenzollern and Corinna Prinzessin von Hohenzollern. On April 18, 2012, Their Royal Highnesses Grand Duke Henri and Hereditary Grand Duke Guillaume of Luxembourg held an audience at the Grand Ducal Palace with leaders of diplomatic missions and representatives from the Diplomatic Conference 2012. Meanwhile, it is with regret to announce that Carl Alexander Prinz von Hohenzollern and his bikini princess bride, Corinna, have announced they have separated. The regal princely couple were married last February in a lavish wedding held at the Little White Chapel in Las Vegas, Nevada with Frederic faux Prince von Anhalt in attendance. Days later a glamorous princely wedding reception/press conference/photo-op took place at Château du Bel Air, and by all accounts the beautiful couple, wearing traditional Lederhosen, were deeply in love. 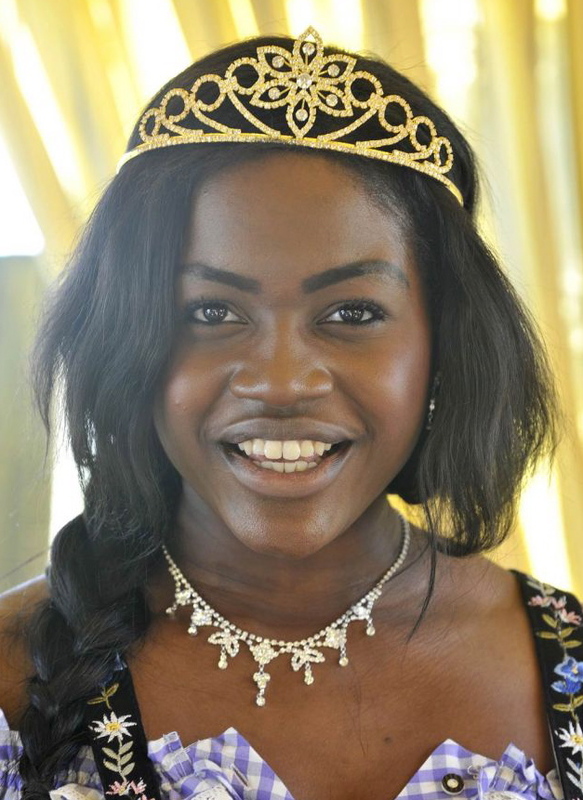 During the wedding reception/press conference/photo-op Princess Corinna was presented with a unique faux gold tiara from Claire’s Accessories. A gift from her new husband and Frederic faux Prince von Anhalt. Soon, the regal princely couple were seen out and about in Europe attending various high society and glamorous events including the 2012 Orange Weiner Filmball held at the Wiener Rathaus in Wien, Austria last March. Rumors were running rampant that the couple were about to star in their own reality show on the German network, RTL. Sadly, that will never happen. … a criminal! CRIMINAL!! She only wanted the title of ‘princess’. She even sent her Austrian manager to fly to my house in Los Angeles to fob off Carl Alexander Prince of Hohenzollern with money so that she may continue use the title Prinzessin von Hohenzollern (Princess of Hohenzollern). Once the sleazy Austrian manager was at Frederic faux Prince von Anhalt’s house, Château du Bel Air, von Anhalt reportedly told them that he would comply with the sleazy Austrian manager’s demands. Then von Anhalt called the police. As for Corinna, the Bikini Princess von Hohenzollern, well, she is still living it up in Wien, Austria with her fabulous faux gold tiara. Besides hiring a manager, she started her own website and Facebook fan page. 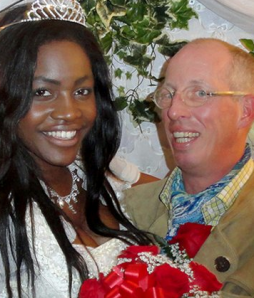 Frederic faux Prince von Anhalt announced that the marriage between Carl Alexander and Corinna will be annulled.